The 7th Prime Property Prize poll has been launched; the goal is to identify the best commercial real estate investments of the past year and the companies and people whose remarkable achievements have played a key role in the development of the industry as a whole. Submit your nominations before 27 July 2018. Winners in 13 categories will be announced during a festive awards ceremony held at the end of the first day of Property Forum 2018, the largest commercial real estate event in Poland. 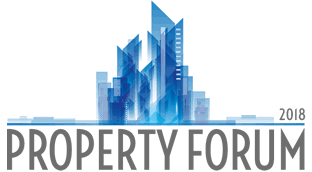 The Prime Property Prize 2018 is brought to you by the PTWP SA group, publisher of Propertynews.pl and Propertydesign.pl and organizer of the Property Forum 2018 conference. Just as every year, the Prime Property Prize poll will identify the companies and projects with the greatest impact on the commercial real estate market in the past year, as well as people whose remarkable achievements have played a key role in the development of the sector as a whole. This year, a new category has been added: Legal Office of the Year. The awards for the Prime Property Prize 2018 contest will be handed out during a festive gala held at the end of the first day of the Property Forum 2018 conference, scheduled to take place on 17-18 September 2018 in Warsaw (Sheraton Hotel). Propertynews.pl Person of the Year – awarded to individuals who have had the greatest impact on events in the commercial real estate sector or introduced spectacular changes in their companies, which have affected the development of the market as a whole. Developer of the Year – awarded for achievements and activities on the commercial real estate market in Poland, contributions to the development of the sector, high project quality, as well as overall reputation. Renter of the Year – awarded to renters who have set new trends in the shopping mall rental market, expanded store chains, introduced important changes, launched marketing campaigns and enjoyed a good image in the industry. Investor-friendly City – awarded for activities focused on improving the investment climate and creating conditions for increased investor activity. Other criteria include the quality of services delivered to entrepreneurs and the efficiency of administrative procedures. Investment of the Year in the Commercial Space Market – awarded to new or recently expanded shopping centres, whose investment process was completed between September 2017 and September 2018. The assessment focuses on project quality, investment duration, the commercialization process, innovative solutions, architecture and impact on the regional economy and the environment. Investment of the Year in the Office Space Market – awarded to new or recently expanded office buildings or office complexes, whose investment process was completed between September 2017 and September 2018. The assessment focuses on project quality, investment duration, the commercialization process, innovative solutions, architecture and impact on the regional economy and the environment. Investment of the Year in the Logistics and Warehousing Market – awarded to new or recently expanded logistics and warehousing buildings, whose investment process was completed between September 2017 and September 2018. The assessment focuses on project quality, investment duration, the commercialization process, innovative solutions, architecture and impact on the regional economy and the environment. Investment of the Year in the Hotel Market – awarded to new or recently expanded hotel facilities, whose investment process was completed between September 2017 and September 2018. The assessment focuses on project quality, investment duration, the commercialization process, innovative solutions, architecture and impact on the regional economy and the environment. Green Building – awarded to commercial structures built in accordance with the principles of ecological construction and sustainable development, which introduced innovative solutions into the market and whose investment process ended between September 2017 and September 2018. Architecture – award by Propertydesign.pl – awarded to commercial structures that rely on innovative design and architectural solutions, set new trends in the market and respect their surroundings and the urban fabric, whose investment process ended between September 2017 and September 2018. Consultant of the Year – awarded to consulting agencies active on the commercial real estate market in Poland in the period between September 2017 and September 2018, especially in the area of commercial space rental, real estate sales and investment transactions, for their contribution to the development of the sector, innovative services and consistency in strategy implementation. Commercial Space – award by Propertydesign.pl – awarded to commercial spaces (dedicated for offices, trade, services, hotels and food services) for their good design, innovative architectural and design solutions, original and functional furnishings and cutting-edge technologies. We will favour interiors that put the comfort of staff and customers first. The award will go to projects whose investment process was completed between September 2017 and September 2018. Legal Office of the Year – awarded to legal offices specializing in providing services to entities active on the commercial real estate market in Poland. We will reward offices and teams whose knowledge and approach meet the highest standards of legal services in the commercial real estate sector and make an outstanding contribution to legal practice. Members of the Experts' Forum are asked to submit 5 nominations in each category, along with short justifications, by email: nagrody@propertynews.pl before 27 July 2018. The deadline for nominations is 27 July 2018. Each submission should include max. 4 photos (e-mail: nagrody@property.pl). File size should not exceed 10 MB. By sending product photos, as outlined above, users authorize the organizer to crop and publish them for the purposes of the contest both online and in printed form. Entities submitting the photos certify that they hold the legal right to grant such an authorization. The Editorial Board will create TOP 5 shortlists in each category and publish them online on propertynews.pl and propertydesign.pl at the beginning of August. Experts will be able to cast their votes in individual categories by e-mail until 24 August 2018. They will receive the full list of nominations and send back the names of contestants they think deserve an award. Readers of Propertynews.pl and Propertydesign.pl will also be able to vote for their favourites. The readers' poll will last until 3 September 2018. Winners in each category will be selected once the votes cast by experts and readers have been added up. The selection is based on the number of votes (score) cast by the readers of the two websites and the members of the Experts' Forum. Votes are converted into point scores. Each expert's vote equals 10 points and reader's vote (click) counts as 1 point. Winners will be notified at the beginning of September. Awards will be presented during a festive Property Forum 2017 Gala on 17 September 2018. THE TERMS AND CONDITIONS OF THE PRIME PROPERTY PRIZE 2018 CONTEST CAN BE DOWNLOADED BELOW. © Material protected by copyright – copying is subject to the following terms and conditions.